I've been working with a fat quarter pack from Northcott Fabrics. They just loved what I did with one of their Colorworks panels that they sent me some of the other fabrics in the line. 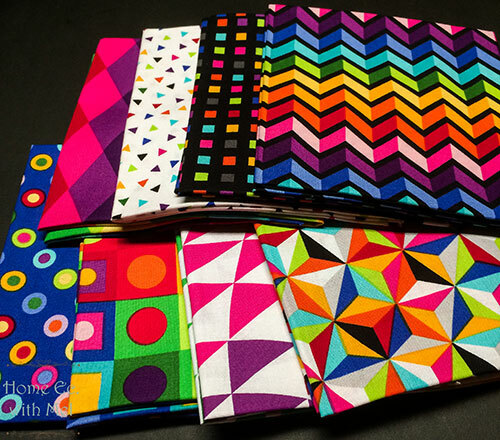 Like any fabric line, all of the fabrics in the fat quarter pack coordinated with each other. I spent a few weeks with the fabric trying to figure out what I wanted to do with it. I finally settled on a design, four patches of the prints on point offset with a square of the solids made from narrow strips to make a striped square. It looked great when I sketched it out so I started cutting fabric and piecing. Then I got it on the design board and it looked horrible. So what went wrong? I don't have EQ. So when I draw out a quilt I actually draw it out. Because of that, I couldn't transfer the graphic fabric on to my drawing. So while everything looked great on paper it didn't look so great when everything was made up. Even though all of these fabrics work together normally they are fighting each other in my design. I thought about turning the stripes into string blocks but that wouldn't have worked either. It would have worked much better if I had used solid color squares instead of the pieced squares. The reason it doesn't work is the two prints, I basically made a new print with the stripes, are fighting each other. When you have a so much going on in a quilt your eyes don't know where to go. You need a focal point, in this quilt I wanted it to be the four patches, and with the four patches and the stripes your eye doesn't know where to go. 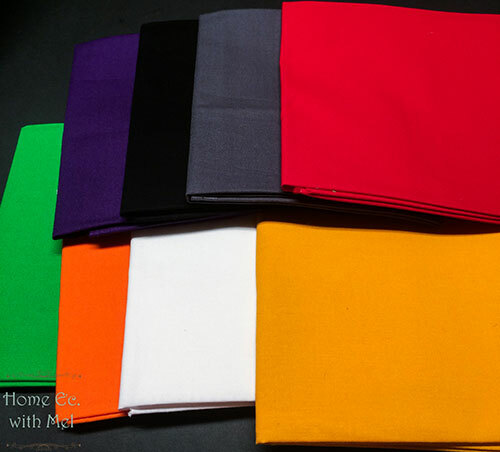 These fabrics are gorgous when you look at them, I never took just five minutes to see how things were going to work. So how am I going to fix this issue? I certainly can't turn all of the solids back into a full piece of fabric. Well, I went back to the drawing board. I really like my four patches so those are staying the same. I'm going to use those in a denim faux cathedral window quilt. I have a circle rotary cutter on the way so that I can get back on track with this project. I started by tracing around a template and was going to cut them out with scissors. I need 160 circles though so the thought of doing all of that by hand was more time consuming than I really wanted. I was so happy when I found that rotary cutter because I'll be able to zip through those circles in no time. So what will I be doing with all of the striped fabric I made? Thankfully, I only cut one of the squares so I didn't chop up all of my work. I guess deep down I knew they weren't going to work. 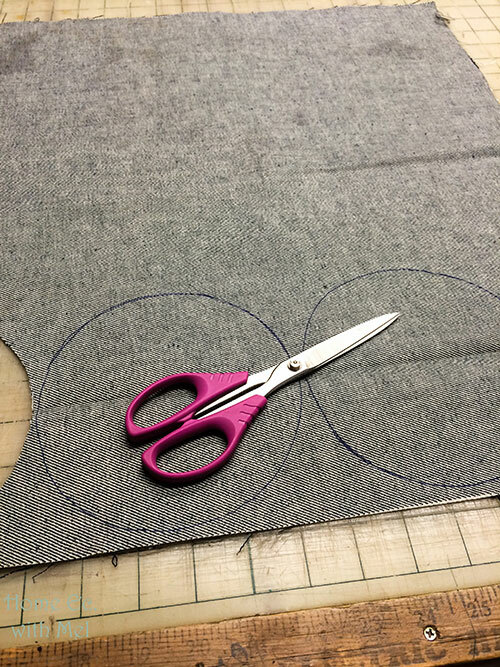 I wish my gut had told me that before I cut 8 fat quarters into 1-inch strips and started sewing them back together. I'm going to be cutting those into triangles and depending on how many I end up with will decide the project I will do with them. I'm so happy to get this project back on track. I'm ready to show off these gorgeous fabrics the way they should be displayed. Sometimes our best-laid plans go wrong. When that happens we just need to take a deep breath, look at the plan, and figure out where the prettiest detour will be. 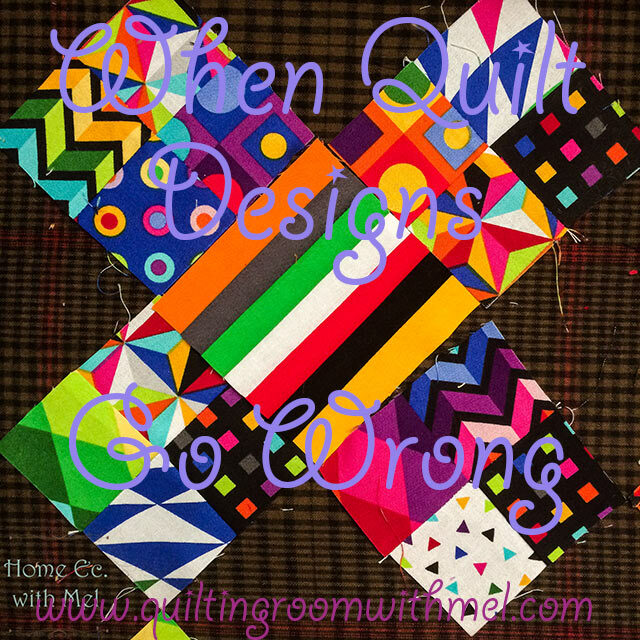 I'm not going to end up with the quilt I had planned out. 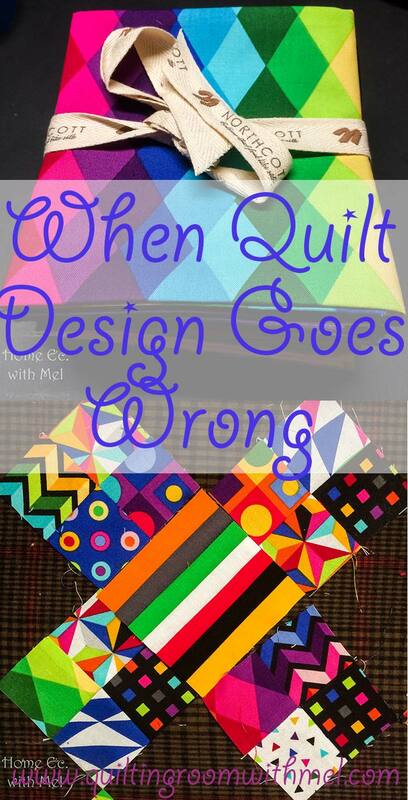 Instead, I'm going to get a quilt I've been thinking about doing and a bonus project. I think this detour will lead to some very interesting results. Don't forget to sign up for our quilting and sewing newsletter to get our latest post, tips, and more! You'll get a free pattern in your inbox as our thanks for subscribing. Those fabrics are colorful and dramatic. Thank you for taking us through the detour process. You've come up with a well thought out plan and you'll get a bonus project in the process. I look forward to following along.